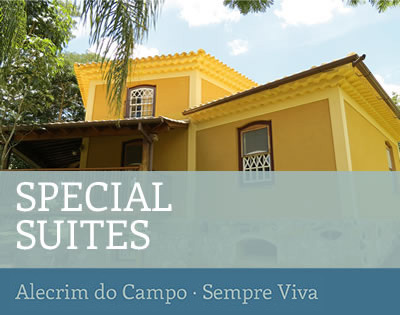 Calçada São José resting place has 13 suites with different characteristics, all of them with excellent comfort standard. 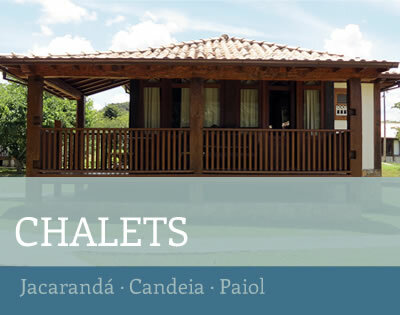 In this tariff type are included three chalets with balcony. 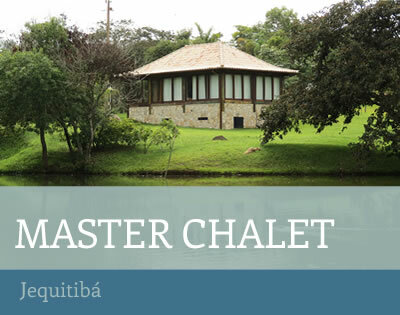 Larger chalet, with balcony, living environment and unveiled large windows for natural scenery. Next to the coffee hall there are 4 other smaller suites extremely comfy and cozy. 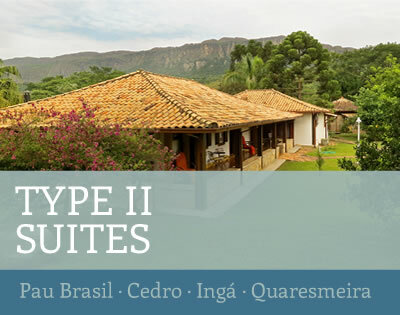 The 4 main suites are located in the original seat of the old Fazenda do Colégio; they are larger, have exclusive balconies, and tempered glass with view to the mountain natural surroundings. 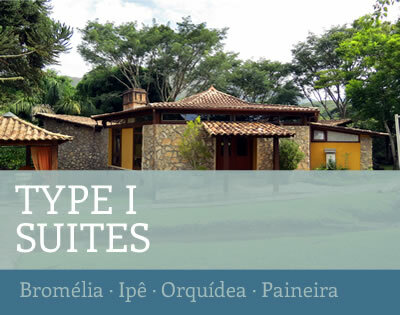 In this category, only a broad suite at the residence of the owners.